Does the banker still hold all the cards? In the 1950s the then Bank of New South Wales, now Westpac, produced pamphlets on historical subjects for primary school children. On the back of one pamphlet was a sketch of a grassy patch of Olde England, with the text, ‘I know a bank …’, followed by some words about looking after one’s pennies so they could grow into pounds. The line was from a speech by Oberon in A Midsummer Night’s Dream – ‘I know a bank whereon the wild thyme blows’ – and the effect was benign and comfortable, like the emotion induced by the Commonwealth Bank money-boxes in the shape of famous bank buildings or the weekly line-up to put coins into one’s school bank account, in my case with the State Savings Bank of Victoria. Now, according to the International Monetary Fund in 2012, Australia’s banking system is the most concentrated in the world. Our ‘big four’ banks, ANZ, the Commonwealth, the National Australia Bank and Westpac, have a bigger share of banking business here than the biggest four banks in any other economy. And three out of four of them announced record profits in 2014, with underlying pre-tax profit in the year 2013-14 for the four amounting to $A44 billion. ‘Big, safe and friendly’, the Commonwealth’s slogan of the 1970s, would only partially work today. The smiling elephant that went with that slogan has been replaced by the anonymous ‘burnt toast’ corporate logo. Secondly, the Institute notes that these four banks are ‘too big to fail’. If they go down the economy – and us – go with them. Total liabilities (mainly deposits) of the big four were more than $A1.5 trillion in September this year, which was roughly the same size as Australia’s GDP. In other words [says the Institute], just four banks out of 70 hold almost 80 per cent of the total debt of the banking system … The idea of the Government having to protect the depositors in any of these banks in the event of failure is mind boggling. The relationship between governments, banks and customers has been a continuous theme in Australian history. 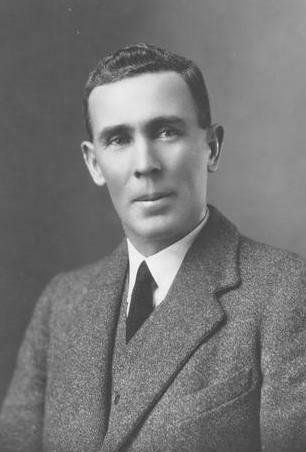 When the Fisher Government founded the Commonwealth Bank in 1910 it disappointed the radical Labor member, Frank Anstey, who said the new bank ‘possesses no more power than any ordinary trading bank’. The Great Depression led to demands for banking reform, following what was seen as the banks’ contribution to the crisis – essentially, excessive lending during the 1920s followed by restrictive policies after the crash of 1929 – which harmed many ordinary Australians. In 1937, the then former Labor member of federal parliament, Ben Chifley, used his minority report in the Royal Commission on the Monetary and Banking Systems to propose fundamental change. Chifley’s fresh memories of the then recent depression added to his recollections of the impact of the 1890s depression, when thirteen banks closed in two months in 1893. The Royal Commission’s majority proposed far less sweeping reforms but even these were not followed up, due to opposition from the banks and then the onset of war. After World War II, the Curtin and Chifley Governments turned their attention to banking reform, largely in response to memories of earlier depressions and fears that a new one would occur. During the war, banking had been controlled under defence regulations. 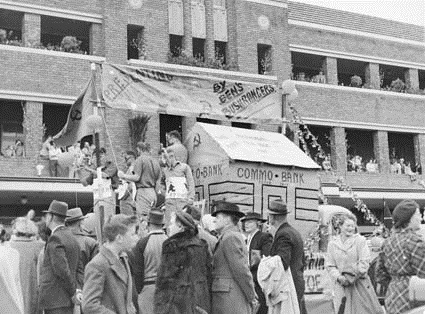 Labor’s 1945 banking legislation attempted to permanently regulate the trading banks through licensing, lodging of a part of bank deposits with the Commonwealth Bank and control by the Commonwealth of advances policy and interest rates. The legislation also expanded the Commonwealth’s role into that of a central bank, though it was to be subject to the government in any policy dispute. These reforms were along the lines of the wartime system and the recommendations of the 1930s Royal Commission. When the High Court knocked out the 1945 legislation (2), Chifley responded on 16 August 1947. What followed over the next two years has been described as the most torrid political battle in Australia since the conscription referenda of 1916-17. Chifley put the case for nationalisation. We move on then to the 1930’s, and there is not one man, be he an economist or not, who will now defend the economic policy which was applied in 1930. We have seen people crowded at factory gates in their thousands trying to get one job; we have seen people at police stations to collect the dole of 5s. 9d. or 8s. 6d. a week. Ultimately, the High Court and the Privy Council disallowed the 1947 banking legislation. (6) The attempt to nationalise the banks, along with discontent over petrol rationing, governmental restrictions persisting too long after the war, and other policies, led to Labor’s defeat in 1949. A host of reasons then kept Labor out of office for 23 years. Banks still, in Chifley’s words of 1937, affect ‘almost every phase of national life’. Chifley’s remarks about the balance between banking profits and service to the community also remain extremely apposite. If anyone wanted to make a case for a tax on bank profits, figures like those above would bolster the argument. They would also support an argument for breaking up large banks, an option which is being debated in other countries, as The Australia Institute noted. This article has not touched on other disconcerting aspects of banking today, such as those relating to financial advice, private debt or housing prices. No doubt Ben Chifley would have had a view on each of these issues. Oberon, perhaps not. This article draws upon the author’s thesis, Political Theory, History and the Australian Labor Governments, 1941-49 (MA, Monash University, 1974), available on microfiche at the National Library of Australia, and his article, ‘The effect of the Great Depression on the Federal Labor Governments, 1941-49’, Australian Journal of Politics and History, XXII, 2, August 1976, pp. 258-70. The Honest History website contains information about a number of resources relevant to this article, notably biographies of Prime Ministers Fisher, Scullin, Curtin, Chifley and Menzies as well as general histories. Use the Search function and browse under ‘Themes-Strands of Australian history’. (1) Australia. Parliament, Report of the Royal Commission appointed to Inquire into the Monetary and Banking Systems: Parliamentary Papers, Session 1937, No. 74, Vol. V, General and Finance, ‘Dissent, reservation and addenda by Mr. Chifley’. (2) Melbourne Corporation v Commonwealth (1947) 74 CLR 31;  HCA 26. (3) LF Crisp, Ben Chifley: A Political Biography, Longmans, London, 1961, pp. 327– 28. (4) Australia. Parliament. House of Representatives, Official Hansard, 11 November 1947, pp. 1927-28. (5) For the 1949 campaign, Freeland and Austral, see Robert Crawford, ‘Supporting banks, Liberals and the “Australian Way”: the Freelands and the 1949 election’, History Australia, 2, 3, 2005, downloadable from Monash University e-press. (6) Bank of New South Wales v The Commonwealth (1948) 76 CLR 1; Commonwealth v Bank of New South Wales (1949) 79 CLR 497,  AC 235. ‹ Miscellany: militarisation still marching? Much of the correspondence between King O’Malley (who was intimately connected … depending upon the source … with the founding and promotion of the original “Australia’s government bank”, the Commonwealth Bank) and Dr. Leslie C. Jauncey during the 1930s and 1940s was concerned with this very subject. Both men were adamant that Australia needed a national bank that would act as both the lender to the government and the banking institution for the people. One that would loan funds to the government for its major projects (without charging interest) and act as what was in effect a “super credit union” for Australians. In that way, as citizens paid back personal loans to the bank, they would, in effect, be helping to pay the national account. Promoting and urging the extension of the national bank was the basis for both of the “bank books” of Jauncey. Both AUSTRALIA’S GOVERNMENT BANK (1934) and his MODERN BANKING (1949) volumes have as their core the hope that what Chifley and Evatt were attempting to do with the 1947 banking legislation would be successful. Both, in addition, lay out comprehensively the resistance and obstruction from the private banking community that met the concept of the CBA from its birth. 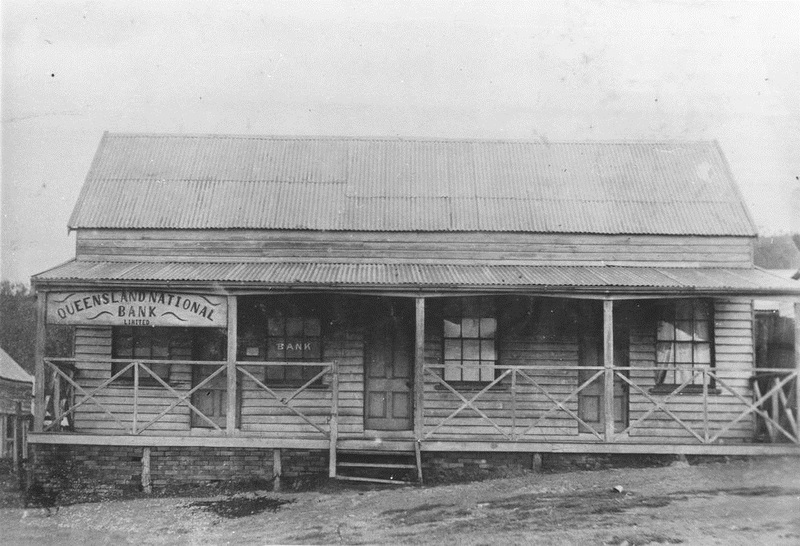 O’Malley and Jauncey knew that the bank’s future stability, prosperity and role in Australia would be diminished (if the institution itself not actually destroyed) unless it was evolved into a truly national bank. It was a situation that the private bankers would not (perhaps could not) allow to develop.